When will be New Scandinavian Cooking next episode air date? Is New Scandinavian Cooking renewed or cancelled? Where to countdown New Scandinavian Cooking air dates? Is New Scandinavian Cooking worth watching? The best of Nordic cuisine and culture come to life in New Scandinavian Cooking. The show broadens the scope of Scandinavian cuisine to encompass the delicacies and destinations of the entire Nordic region, including Finland, Norway, Sweden, Denmark, and Greenland— and even brief forays to Iceland and the Cognac region of France. A rotating cast of Scandinavia's best-known cooking personalities guide viewers through each adventure. These charming and enlightening hosts share the culinary highlights, history and unusual ingredients of Nordic cuisine. In each episode, one host embarks on a culinary adventure to intriguing locations in the Nordic countries and beyond before creating tantalizing recipes outdoors, against majestic backdrops. 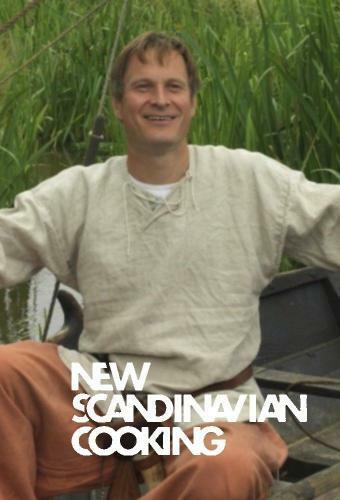 New Scandinavian Cooking next episode air date provides TVMaze for you. EpisoDate.com is your TV show guide to Countdown New Scandinavian Cooking Episode Air Dates and to stay in touch with New Scandinavian Cooking next episode Air Date and your others favorite TV Shows. Add the shows you like to a "Watchlist" and let the site take it from there.